Home » URBACT News » New cities welcome at the 2018 URBACT City Festival! Cities and networks will share their particular experiences and knowledge gained. The URBACT programme will also be sharing the outputs and messages it has pulled together from different networks on key themes, including integrated and participative urban development, innovative urban planning, re-making the city, gender-equal cities, digital cities, integration of migrants, and cities of the future. You can also listen to what inspired participants at the 2017 URBACT City Festival in Tallinn! 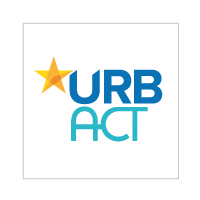 In January 2019, the programme will publish the next URBACT call providing a new opportunity for cities to join an URBACT transnational exchange network on a theme of their choice. The URBACT City Festival is a great way to meet like-minded cities and learn more about the functioning of the URBACT programme, URBACT networks and their work with Integrated Action Plans for cities. Will your participation in the Festival be the start of a new journey with URBACT? Your city never took part in the URBACT programme before? Please send an e-mail to communication@urbact.eu if you are representing a new city and are interested in joining the City Festival!